Tags manager provide you navigation bar for your customer & get the new listing for the tags products. everyone can use because it’s fully tagged manager & compatible with all recent versions of Magento 2. - Product Tags is enabled/disable option. 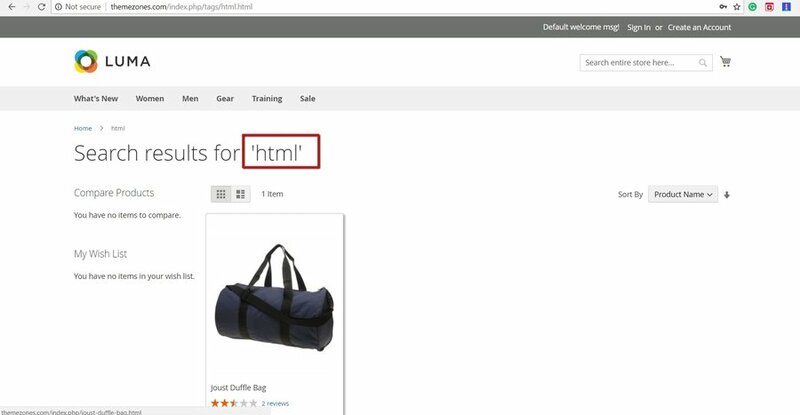 - Search by tags from the Product details page. 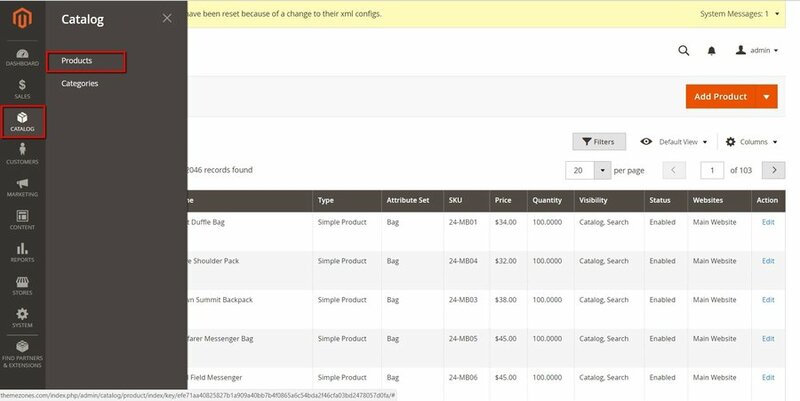 - Magento API for the attribute data. - Manage tags from the admin side. Tags manager provide you navigation bar for your customer & get new listing for the tags products. The most important task is to make certain you have an upto date backup of your magento2 website! This is always a good thing, not necessarily so important for our extension but in general. Download the Magento 2 extension & extrect here. 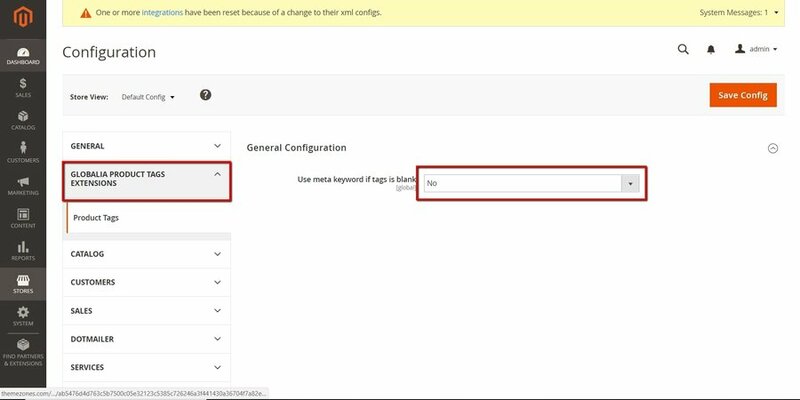 Run below command for the magento 2 extension. The image below show that extension uploaded via own system & enable via admin configuration. 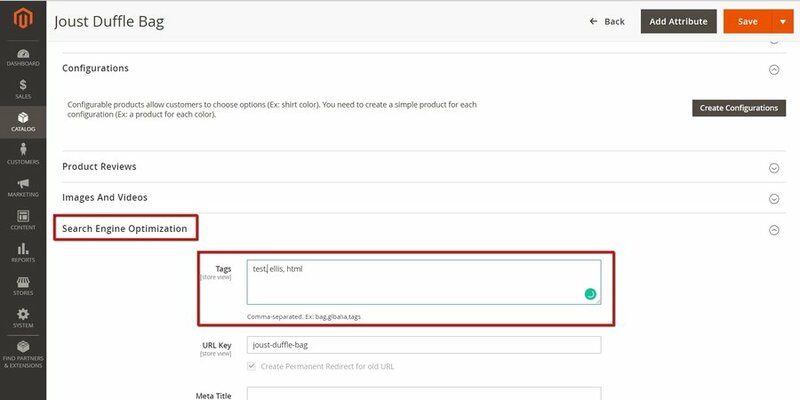 The simple activation of the extension is enough to have the desired behavior for product pages & tags pages. First Step for the extension. please click on tags setting on paroduct section in the admin side. please see below screenshot. Go in to SEO section & add tags keyword with comma-separated. 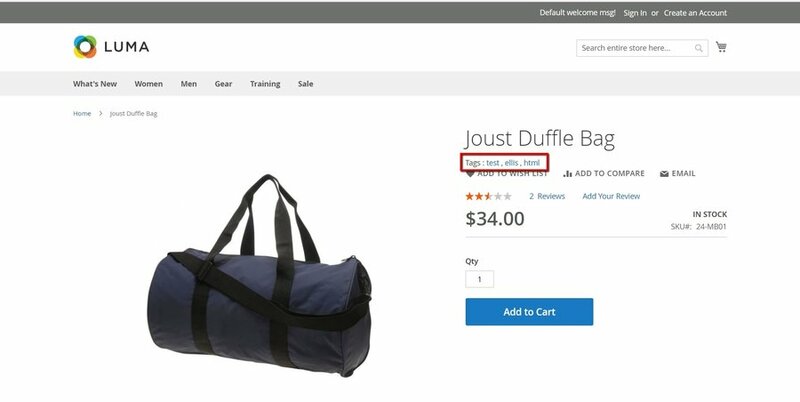 You can see added tags on product details page. After click on tag from the product details page it will be redirect on tag listing page. 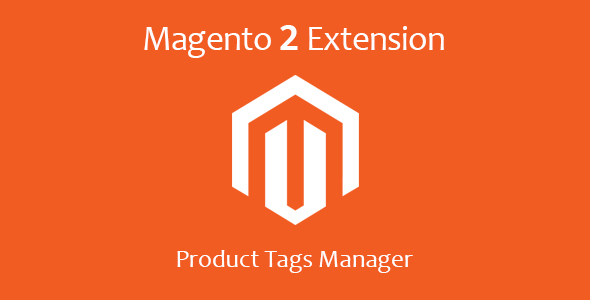 Once again, thank you so much for purchasing this Magento 2 tags extension. As I said at the beginning, I’d be glad to help you if you have any questions relating to this extension setup or customization. No guarantees, but I’ll do my best to assist. If you have a more general question relating to the tags extension on codecanyon, you might consider visiting the forums and asking your question in the “support” section.